Yup! Nightstand Time! Time to review my past list and reorganize a bit for the following month. I feel like things are becoming a little more orderly around here now that we aren't rabidly working in the yard and on the house preparing for my sister-in-laws upcoming marriage. Now I have a new brother! Our yard looks pretty good for the moment and so I can fall back into reading (which is really delightful). 1. We read The Lion, the Witch and the Wardrobe aloud as a family. Then the kids and I watched this movie which was very much enjoyed. Bookworm2 has really gotten into Narnia this year. While we read we ate Turkish Delight and I have a box to giveaway to one of you if you'd like to follow the last link there and leave a comment on that post. 2. I read The Wind in the Willows (to myself) as part of this book club. My review should be popping up tomorrow. We have until the end of the week to get that read so I'm sneaking in under the wire! 3. I'm still halfway through War of Words: Getting to the Heart of Your Communication Struggles . It got sidelined when I agreed to participate in this bookclub which currently has my full attention. 4. Experiencing God at Home - linked to my review at 5 Minutes for Books. I found it encouraging. 5. I read and reviewed Chitty Chitty Bang Bang here on Reading to Know. 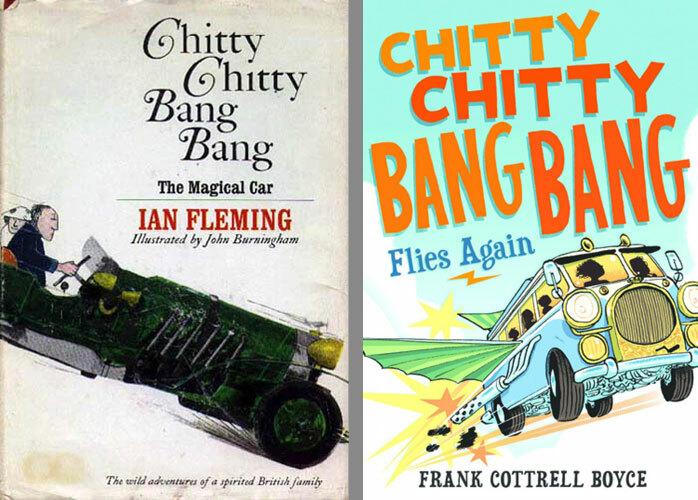 I mentioned then that I would be reading the newly released sequel, Chitty Chitty Bang Bang Rides Again. I did read it and shared my thoughts on 5 Minutes for Books. Click HERE to see what I thought of that. 6. I finally got around to reading The Outcast which is a retelling of The Scarlet Letter. I have one copy to give away and the contest is open through tomorrow so if you are interested, leave a comment on that post. So now, what's on the list for this coming month!? 1. Checking in with the Reading to Know Book Club, I'll be planning to read Daniel Deronda . Heather will be leading the discussion for that book. As a total aside (sorta) you should read Heather's recent review of American Wife which, if you know Heather at all, is really funny and - as always - spot on. 2. 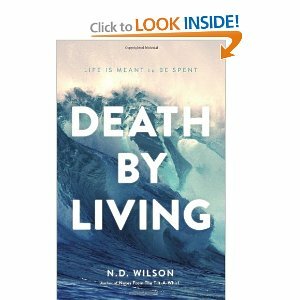 Death by Living: Life Is Meant to Be Spent , by N.D. Wilson was delivered to my doorstep as I was typing up this post. I cannot wait to dive into that one! 3. I'd really (really!) like to finish War of Words: Getting to the Heart of Your Communication Struggles (Resources for Changing Lives) . 4. Another title of the same theme shows up for review purposes: Stopping Words That Hurt: Positive Words in a World Gone Negative . I'm thinking I'd rather like to read those two books side by side and compare them. 5. Lastly, I still intend to read American Gun: A History of the U.S. in Ten Firearms . I'm way behind in getting to it but I'm going to chalk this one up to "better late than never." Such great read-alouds you had this month. Love both Lewis and Wind in the Willows. I'll go check out "Experiencing God at Home"--sounds good. Thanks for sharing your list; interesting as always. Question--did Warbrobe the movie scare your kids? We're still holding out here because I'm not sure it will be a pleasant experience for all involved. Looking forward to your Wind in the Willows review! I don't know how you manage to get so much done! Sounds like a lot of fun in Narnia! Wind in the williow would be a re-read for me and as I have so many TBR I will be skipping this one. I did enjoy it though. I didn't get to Wind in the Willows, but I'll look forward to your review. I'm really looking forward to Daniel Deronda since I enjoyed a Masterpiece Theatre version some years ago (except for one character's low-cut gowns). What a feast of words! I'm eager to read Death by Living as soon as my copy arrives (thanks for the reminder to order it). 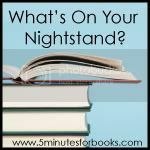 No way is it time for August Nightstand. Thanks for the reminder of your giveaways. 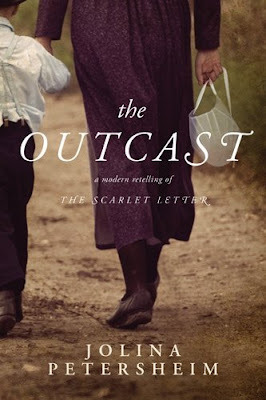 I'm really looking forward to reading Outcast, whether I get it in the mail or read it some other way. Sure am hoping to get to Daniel Deronda. I'm a little intimidated at the number of pages for a busy August! I could definitely get into a book about communication struggles. I'm not always the best at communicating in "real life" as I am in writing. @Amy - Bookworm2 was not scared one little bit by the Narnia movie. Bookworm1 would close his eyes periodically. We skipped Aslan's death scene for the visuals. The bad guys are a bit much. Otherwise, they did ok with it. My "want to read" list always gets longer after reading your posts! ;-) I can't wait to hear your thoughts on War of Words...I really like Paul Tripp! I am so behind on my blog due to summer adventures. I did finish The Wind in the Willows with my kids, and hope to have a review up soon. Also my thoughts on another Alan Bradley mystery.